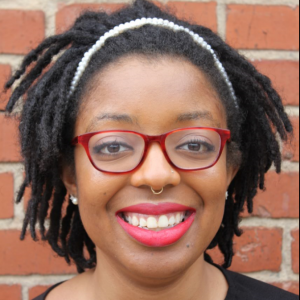 This means that regressive state and local tax codes are worsening both income inequalities and widening racial income and wealth gaps by requiring communities of color to contribute a larger share of their income in taxes. Take Florida as an example. 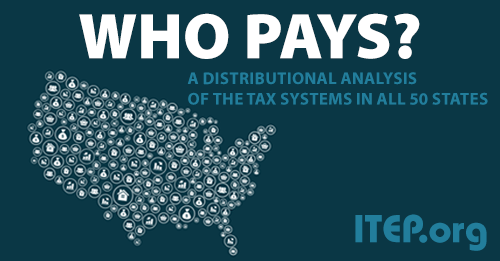 The Sunshine State is often lauded as a “low-tax state” because of its lack of a personal income tax and low portion of taxes collected as a share of personal income. Although Florida ranks 50th nationally in taxes collected as a share of personal income, it is the ninth highest-tax state for low-income families. 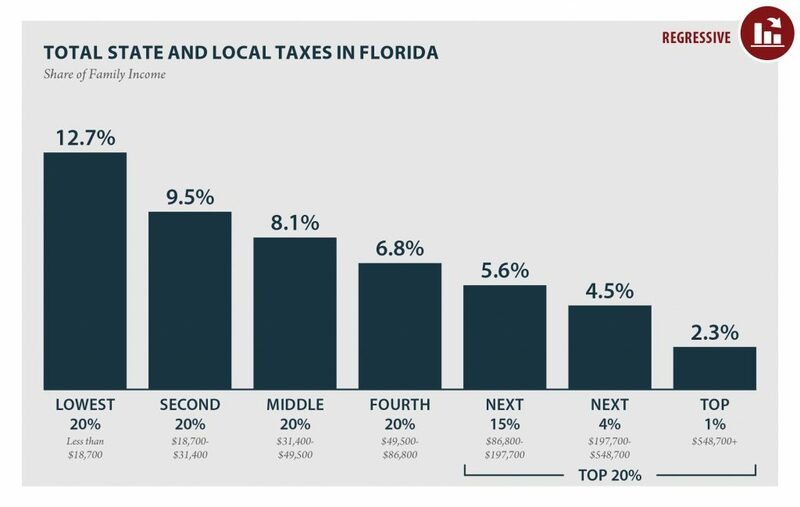 Florida ranks third in ITEP’s Terrible 10 Most Regressive State and Local Tax Systems because of the disparity in taxes paid as a share of income by the wealthiest compared to low- and middle-income families. Floridians in the bottom quintile of taxpayers, with average incomes of just $12,500 annually, contribute nearly 13 percent of their income in state and local taxes while the wealthiest 1 percent, with average incomes of $2.3 million, contribute just 2 percent of their income in state and local taxes. Florida’s tax code only makes matters worse for families of color. Although Black and Latinx households account for 11 and 18 percent of Florida taxpayers, respectively, they represent 27 and 21 percent of the poorest quintile of taxpayers and less than 1 percent each of the wealthiest 1 percent of Floridian taxpayers. In a state where the wealthiest 1 percent contribute only 2 pennies of every dollar of income in state and local taxes, white households are 14 times more likely than Latinx households and 67 times more likely than Black households to fall in that income group. In California, while the effect of the racial income gap is still evident (white households are nine times more likely than Black households and seven times more likely than Latinx households to be among the wealthiest 1 percent of taxpayers) the state’s more progressive tax code does less to worsen existing inequities. In California, the lowest-earning quintile, whose average income is about $14,300, contribute 10.5 percent of their income in state and local taxes while the wealthiest 1 percent contribute 12.4 percent of their income. Black and Latinx households in the Golden State make up 4 and 28 percent of taxpaying households, respectively. Like Florida, Black and Latinx households in California are overrepresented in the poorest quintile—one-third of all Black and one-quarter of all Latinx taxpayers earn incomes less than $23,000. And like Florida, Black and Latinx households are underrepresented in the wealthiest top 1 percent of Californians at less than half a percent each. But unlike Florida, California’s tax code slightly improves income inequality. 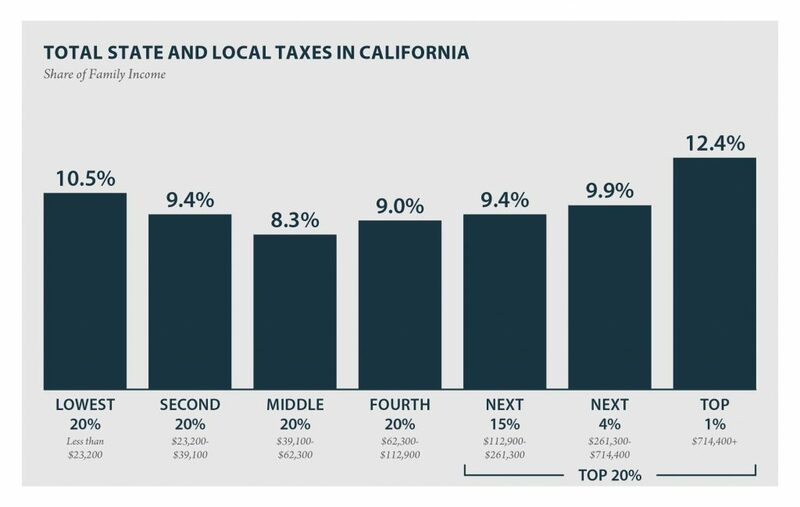 The wealthiest 1 percent of Californians earning an average of $2.1 million annually pay a larger share of their income in taxes than those with the lowest incomes. State tax codes can address income inequality and modestly remedy some of the economic inequities caused by a long history of social and economic policies that advantaged white communities and disadvantaged communities of color. But tax policy can only address a modicum of these broader social issues. Still, policymakers and citizens should work toward a system of taxation that does not worsen racial disparities.